19 Y. 9 M. 6 D.
Emma was the second child born to George Ferdinand and Sarah Roseann (Dodge) Huffman. 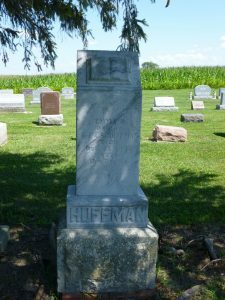 She was born 19 March 1884, as calculated from the information on her tombstone. 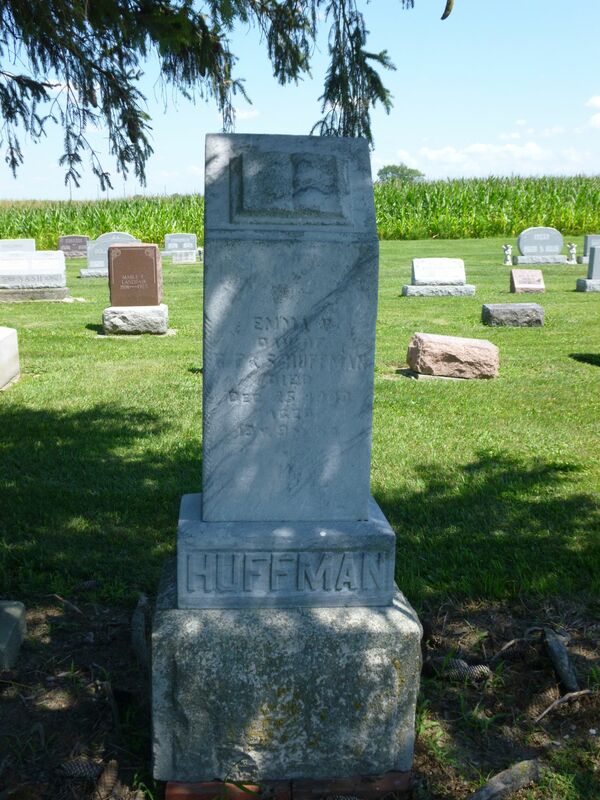 The George and Sarah Huffman resided in Liberty Township, Mercer County, Ohio, for the first few years after they married in 1877 but moved across the state line to Indiana by March 1884, where their daughter Emma was reportedly born. The family attended Zion Chatt for a time but there is no mention of Emma in the church records. 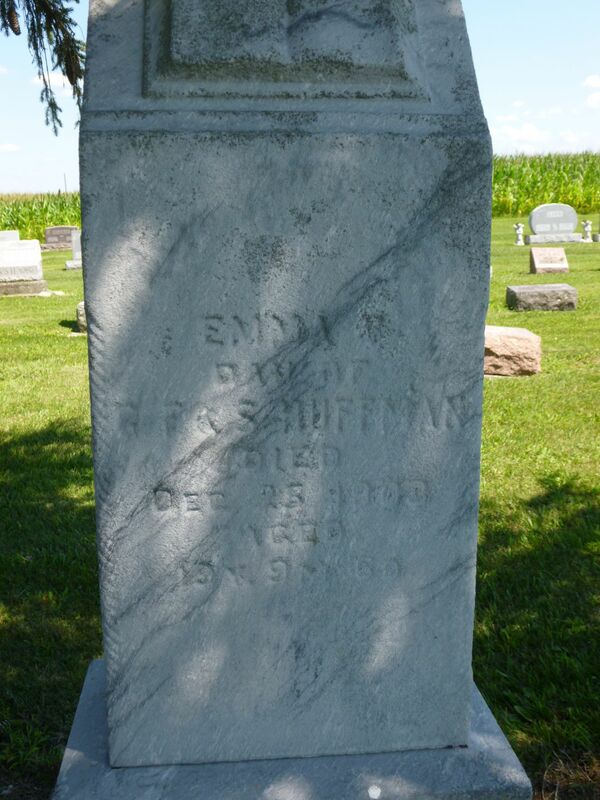 Emma died 25 December 1903, most likely in Jefferson Township, Adams County, Indiana. 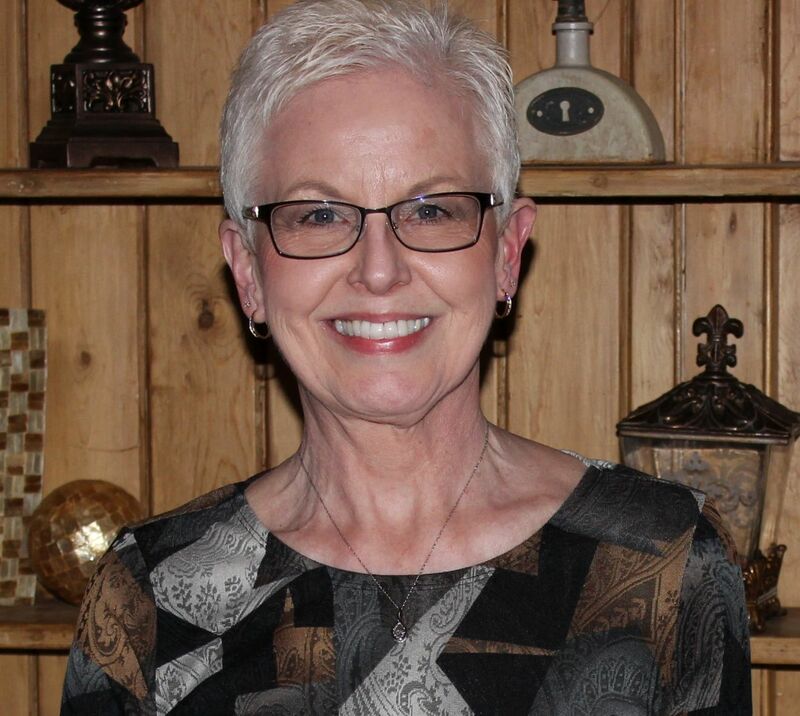 I could not locate her death certificate on-line and it was not recorded in Zion Chatt’s records. Hi Karen! Emma was a sister of my Great Grandmother, Mary Olga Huffman Bollenbacher. In my records, Emma died at the age of 17 from tuberculosis. Don’t have any other specifics. Thanks for the info.